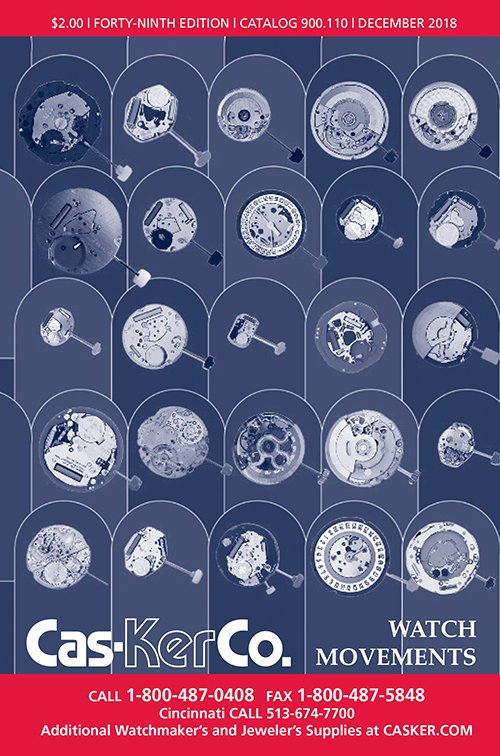 Cas-Ker's Assortments Catalog features a variety of watch materials assortments. Conveniently assembled to supply watchmakers with the most popular as well as hard-to-find parts needed to build or repair wristwatches and pocket watches. If you prefer, you can download a digital pdf version of our catalog. Click here to download. 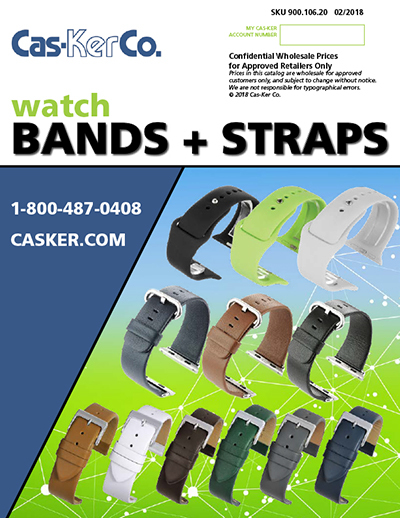 Cas-Ker's 2018 Watch Material Assortments Catalog is available in print or as a digital download file. 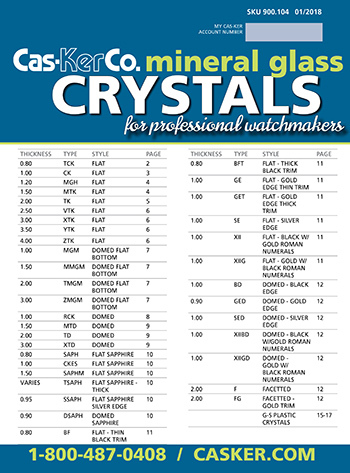 Descriptions, Assortment Contents & Prices on all of Cas-Ker's Watch Parts Assortments. 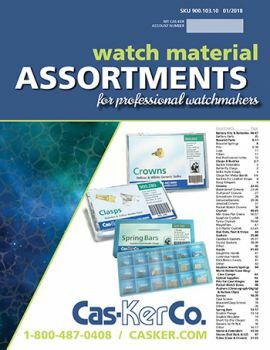 Get this handy copy of our assortments, including clasps & buckles, bracelet parts, spring bars, screws, case and crown tubes, crowns, pushers, stems and extenders, gaskets, hands, dial dots, movement holders, case hinge pins, incabloc jewels and springs, battery parts, optical supplies, bows, crystals, and more! Cas-Ker Assortments and refills are a convenient and economical way for watchmakers and jeweler to keep needed parts on hand. Add our Assortments Catalog to your cart to receive a black-and-white print catalog with your order, or click the link above to download a color screen-optimized digital version.